Welcom summer with a Halong Bay Tour, why not ??? Home ›› Daily Updates ›› Welcome summer with a Halong Bay Tour, why not ??? 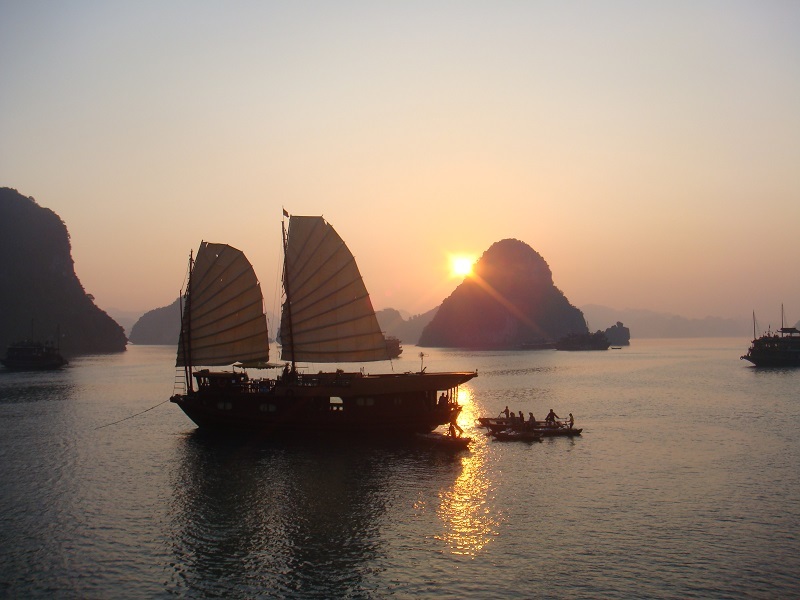 Welcome summer with a Halong Bay Tour, why not ??? 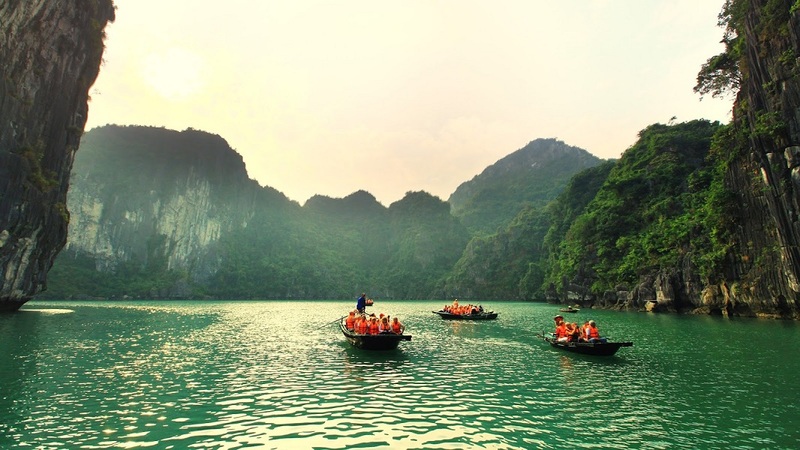 – Summer is coming and you are looking for an ideal destination for your holiday in Vietnam. – Are you thinking of Ha Long Bay? Great. Congratulations because this is also the destination that I am thinking about it !!! So, We will welcom summer with a Halong Bay Tour !!! Why ? Why ??? Summer in Ha Long is very cool: Summer officially starts in Halong bay in May with the average temperature of 29.5oC. Night time temperature is at 25oC while the maximum day time temperature can spike to 35oC. 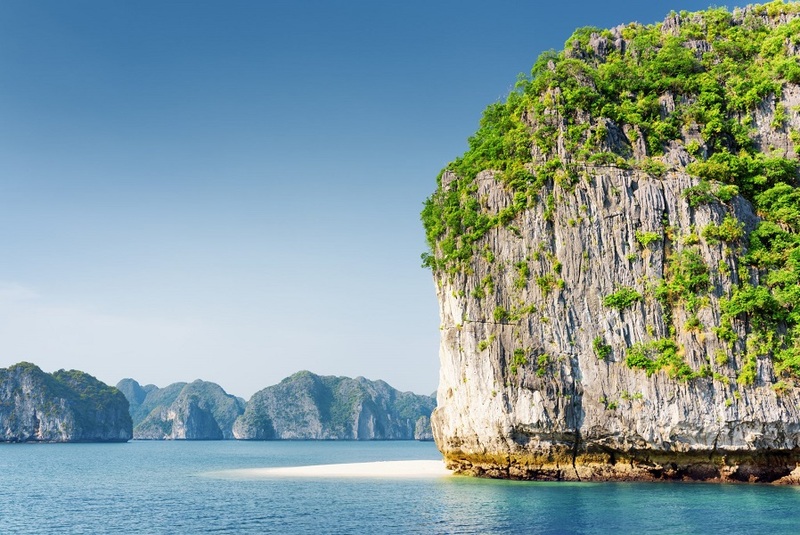 So, Summer is the perfect time to make a trip to Halong bay, this sunny time allows you enjoy many outdoor activities and have a relaxing time on the sandy beaches. 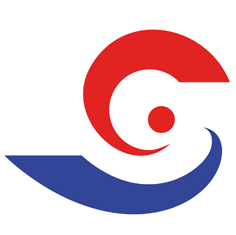 In addition, storms normally do not reach Halong Bay in this early time of summer. With this weather, wear light clothing accompanied with sport shoes, sandals, a pair of wide angle glasses, etc. They will help you feel comfortable and easy when enjoying relaxing time in Halong. Sunny time, clear blue sky, beautiful natural wonders on water that will make you exciting to visit Halong Bay in Summer. Swimming on immense sea water of Halong Bay is amazing in the morning or late afternoon. Witness the sunset over thousand limestone islands, it can be a lifetime memory lasting long during your life and travel. Kayaking on calm sea water is another interesting outdoor activity to discover natural beauty that you can’t miss, especially in summer. 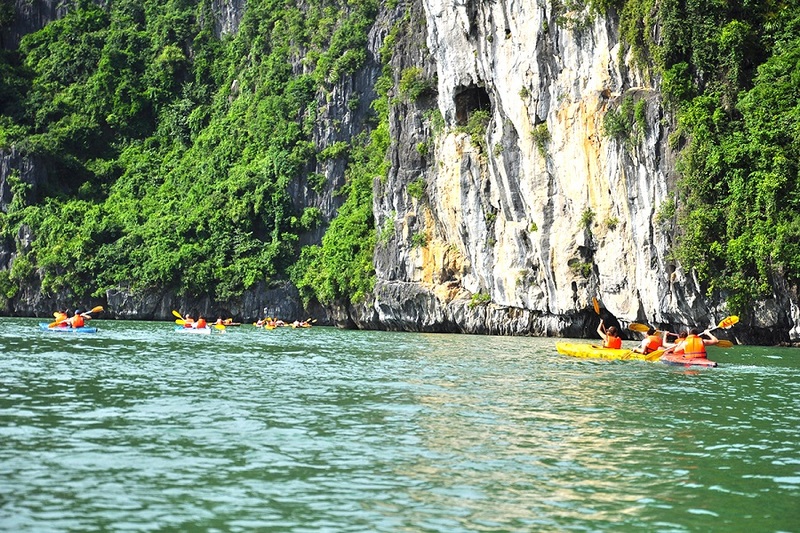 Paddling to get close to limestone island while get low to sea water and taste the beauty all around is a must do when you visit Halong Bay on a cruise. And there are many more exciting activities awaiting you to explore. Being one of the seven new natural wonders of the world and UNESCO World Heritage Site, Halong Bay is a glamorous travel destination for both locals and tourists. You can be easy to fall in love with the ideal spot by the richness and diversity of nature.